A sports podcast by a bunch of mates who are trying to tackle big issues in the world of sport by doing very little. CLAAAWWWW!!!!!!!!!! Rank #1: Episode 5 - Haha gets traded?? Back with a bang after holidays, this week's bumper episode includes champions league, reaction to Jennings finally getting it off the square and Eddie Jones's England prospects ahead of next year's World Cup. We also discuss Haha Clinton Dix being traded to the Redskins and Joe's encounter with Steph Curry! © 2019 OwlTail All rights reserved. OwlTail only owns the podcast episode rankings. Copyright of underlying podcast content is owned by the publisher, not OwlTail. 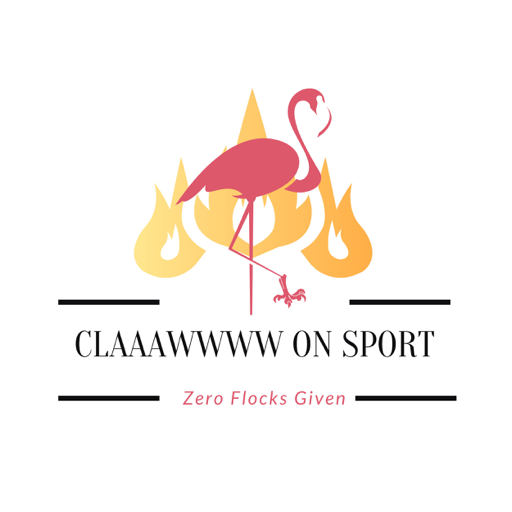 Audio is streamed directly from Claaawwww on Sport servers. Downloads goes directly to publisher.